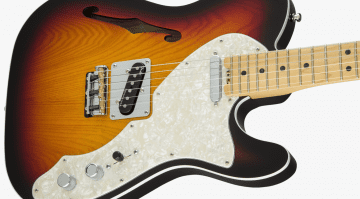 This year at NAMM, Fender announced a whole slew of new guitar models – as they often do. Amongst all of these was the new American Elite Series Stratocaster. I finally thought I’d take a look at these, as I have avoided talking about them up till now, waiting for the dust to settle. This is because I love Strats (my first guitar was a Fender Strat) and I grew up learning to play on one; I’ve even run into a burning building to rescue one of mine! 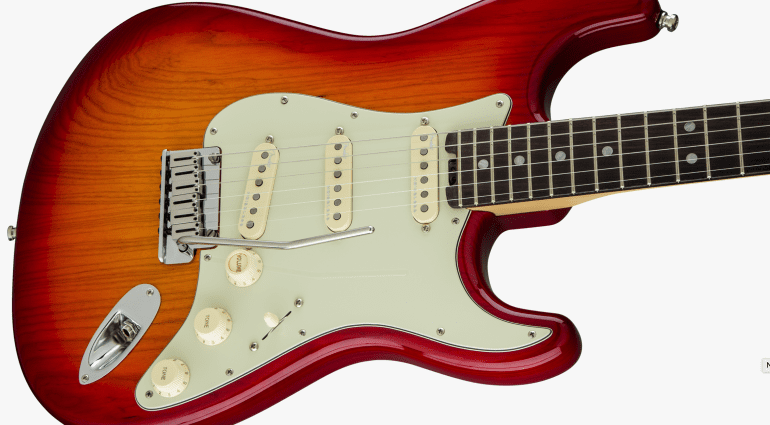 At a quick glance, these look pretty much the same as any Strat you have seen before and that is not a bad thing. There are no unwanted robotic tuners and dodgy holograms here, just a pure looking ‘50s classic. 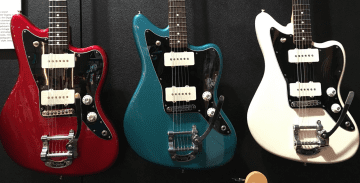 What Fender have done, though, is tweaked the mix or combination of features for this new line. First off, it’s a classic ash body and available either with a maple or rosewood fretboard, with their respective and well-known tonal signatures. It is a modern compound radius fretboard 9.5”-14” up at the dusty end. This should make it a lot nicer to play for modern styles and they have tweaked the neck profile as well. It starts at the standard Slim C profile and works its way further up the neck to a D Profile, which again is subtle but should make it more comfortable to play. There is also a new cutaway neck heel for improved access. Next on the neck is my favourite update, I have this feature on my Wolfgang and love it a lot. They have finally put the truss rod access on a spoke at the base of the neck. This makes perfect sense to me, as I gig a lot and my guitars travel, which means I have to tweak my truss rod with temperature changes. 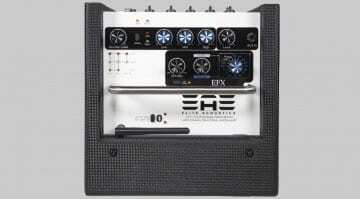 Having easy access like this is ideal for a gigging musician. I’m really happy about that, but I know traditionalists will probably hate it. For me that is a great upgrade on a modern guitar. 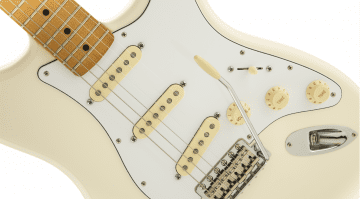 Next up is the new 4th generation of Noiseless Pickups, which Fender claim are much improved over previous incarnations. I cannot comment on these as I have not tried them myself. However, I have owned a set of the original Noiseless Pickups and they were good for being quiet, just tonally a little bland. 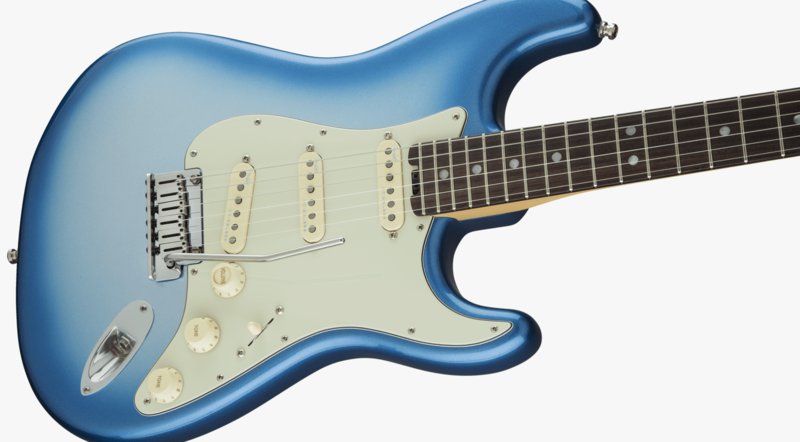 So if Fender have improved theses new ones it could be worth me revisiting them.